We at the Cosmo HQ are always on the hunt for cool shoes to wear to the gym because 1. We need a decent #IWorkOutLikeThis shot, 2. the gym cutie is so darn adorbs, and 2. Porma shoes always inspire us to work out. 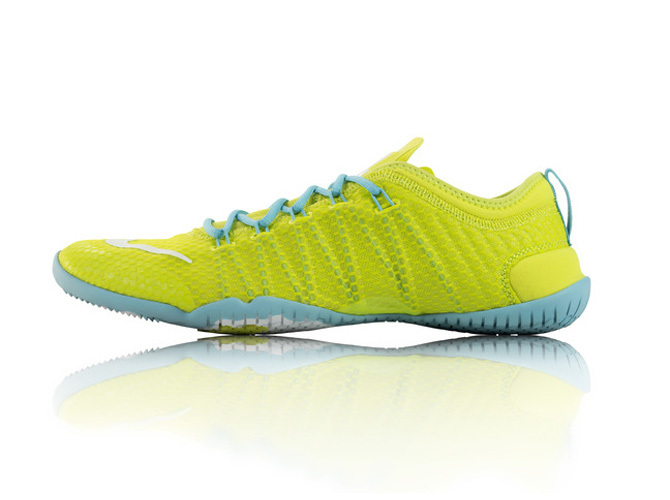 So ever since Nike launched its Nike Free 1.0 Cross Bionic shoe last March, we wanted to get a pair right away. Because how can you resist the neon green outsole and the aqua laces? The shoe is ridiculously lightweight and breathable (It's like you're wearing socks! ), so it's best to bring these during your high-intensity workouts like Zumba, aerobics, and CrossFit. The soles are really thin though, so we don't recommend that you wear them during your next run. Not really a gym person but still want a pair (we can't blame you!)? Wear them during your morning commute, and trade them in for your high heels once you get to the office! Or you can ditch the heels, and just wear 'em at work. Seriously, NBD.